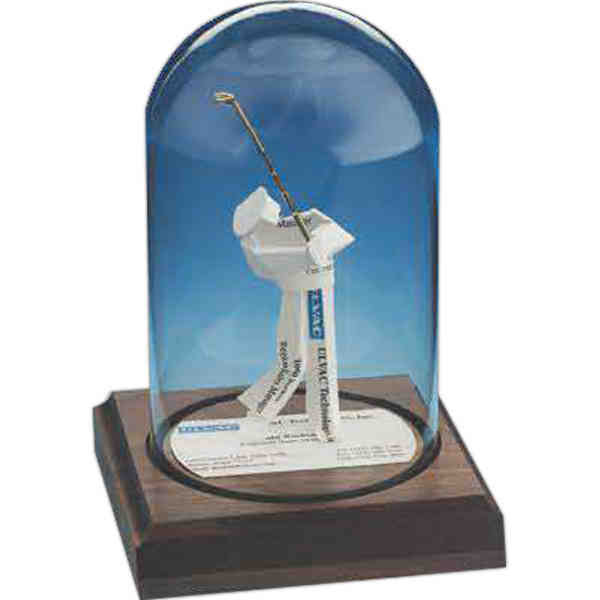 Get creative with your networking with this business card sculpture under a glass dome. This unique player sculpture will be custom made with 20 business cards from you! The finishing touches of placing the cards into a dome on a beautiful walnut or black base, is guaranteed to WOW your clients and visitors when they walk into your office. Dome size is 4" x 7", base 5" x 5".